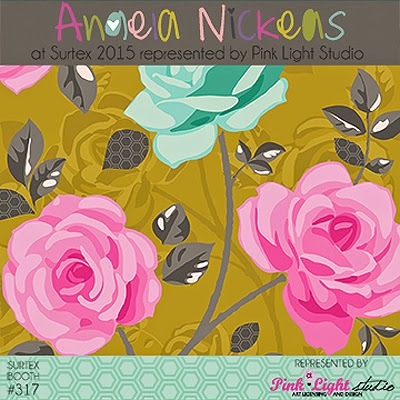 Huge apologies for the sudden lack of posts last week - I was struck down suddenly with a virus and with no time to post a warning or explanation I was totally unable to do any work. 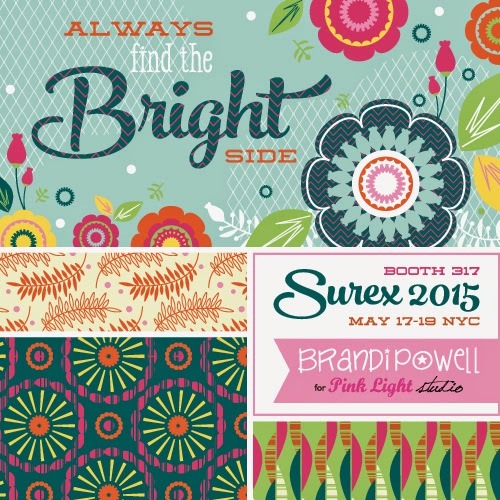 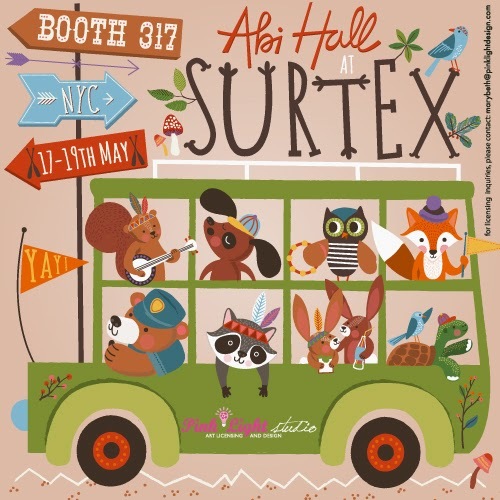 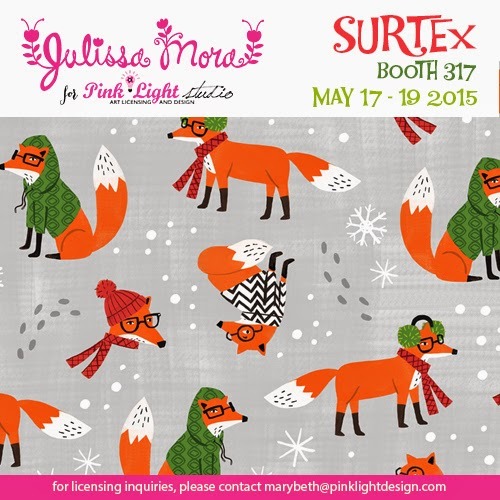 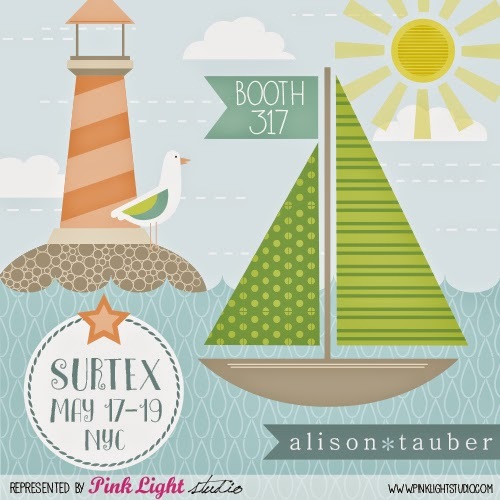 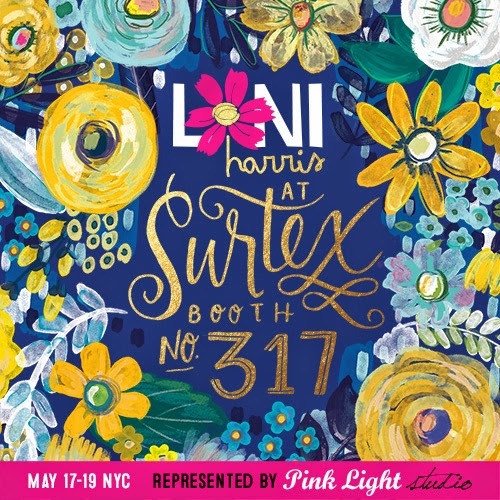 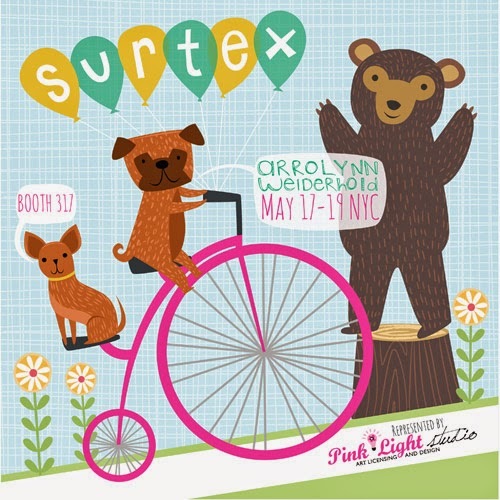 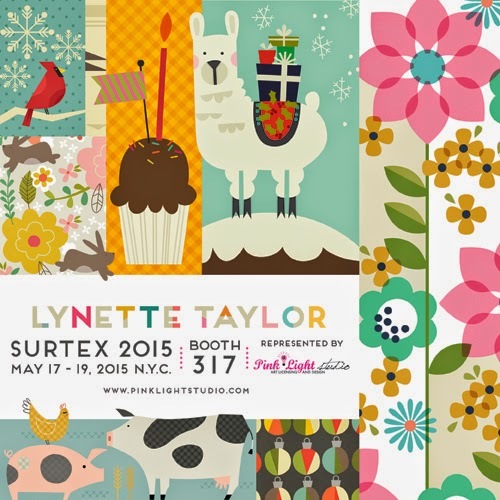 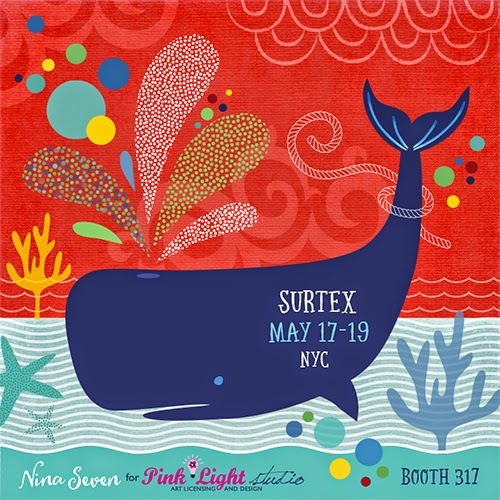 This means i am now hugely behind on Surtex postings so we have tons of great design to catch up on. 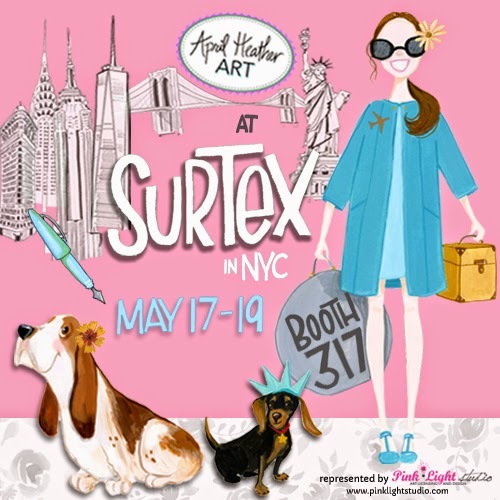 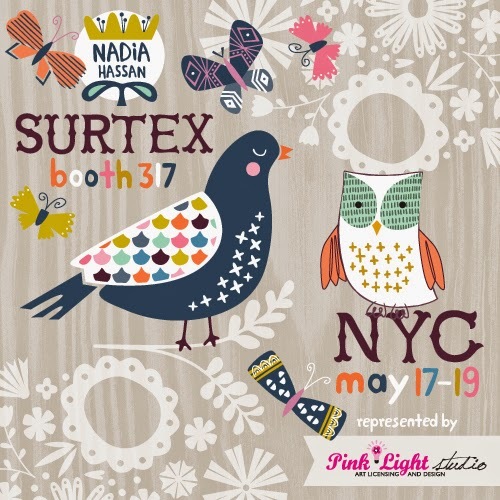 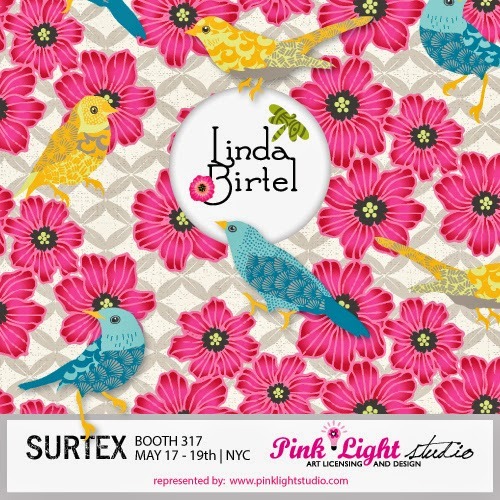 I am diving straight back in with the wonderful Pink Light Studio who have a fab collection of artists under their wing and will be in booth 317 at the New York show which opens on May 17th. 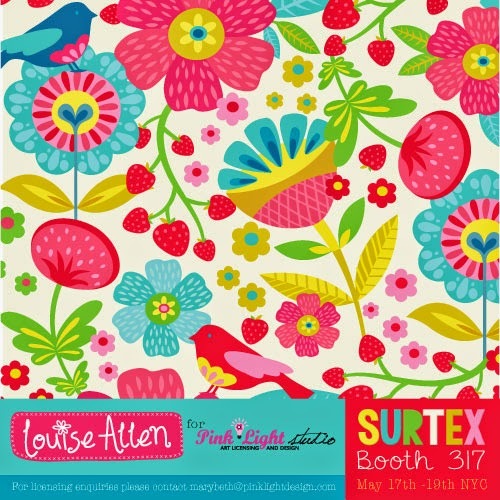 Here is a flyer from each of their designers and you can also find out more online here.